Surrounded by the steep slopes of the wooded mount Mija and the Stol mountain range, the healing river Nadiža, the hallmark of Breginjski kot, patiently makes its way through the gorge. This westernmost part of Slovenia, isolated from the hustle and bustle of modern life, offers peace and quiet, while the pristine nature and crystal clear waters of the Nadiža provide escape and shelter from the summer heat. It is in the very heart of this beautiful scenery, between the breath-taking pools of the Nadiža with its historic Napoleon Bridge and the popular swimming site behind the village of Podbela, that you will be warmly greeted at Campsite Lebanč. Intact nature, rich cultural heritage and hospitable locals are waiting for you. Welcome at Campsite Lebanč – a campsite with soul! Although the family-run campsite Lebanč is new in this pristine part of Slovenia, it radiates homely cosiness, which can be attributed to the beautiful location. The campsite is situated in the vicinity of the biggest swimming site on the healing Nadiža River and its remarkable pools. 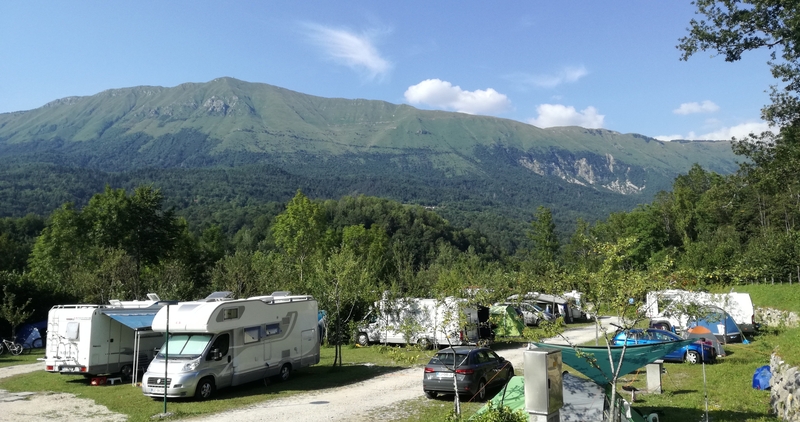 However, the credit for this pleasant atmosphere must go to its owner, Valter Kramar, whose nickname “Lebanč” is used in the name of the campsite, and his small, but devoted family crew. 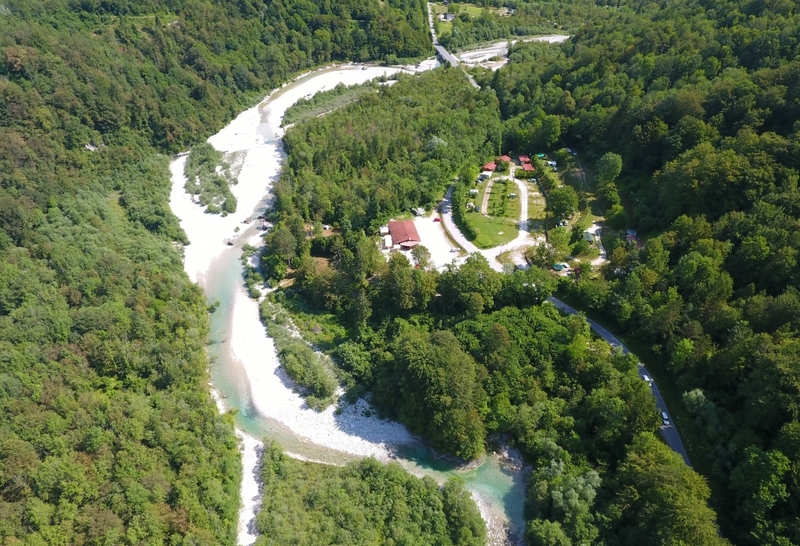 In the westernmost part of Slovenia, a few kilometres away from the westernmost Slovenian village of Robidišče, at the banks of the healing Nadiža River, lies our family-run Campsite Lebanč. Its location is peaceful and isolated from the racket of civilization. You will find our campsite if you pass through the village of Podbela and head towards the Nadiža pools. Our campsite lies slightly hidden behind the slopes of the Mija mount some 500 m from the swimming site under the bridge over the Nadiža. 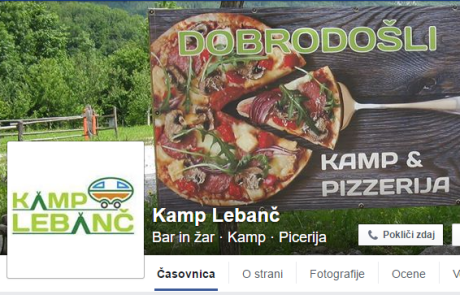 The pizzeria in Campsite Lebanč is one of the latest additions of the area of Breginjski kot and the only location at the Nadiža River where tourists and visitors can satisfy their hunger. The experienced team working under experienced pizzaiolo creates small culinary masterpieces that come out of the open wood-fired oven with a crisp crust. 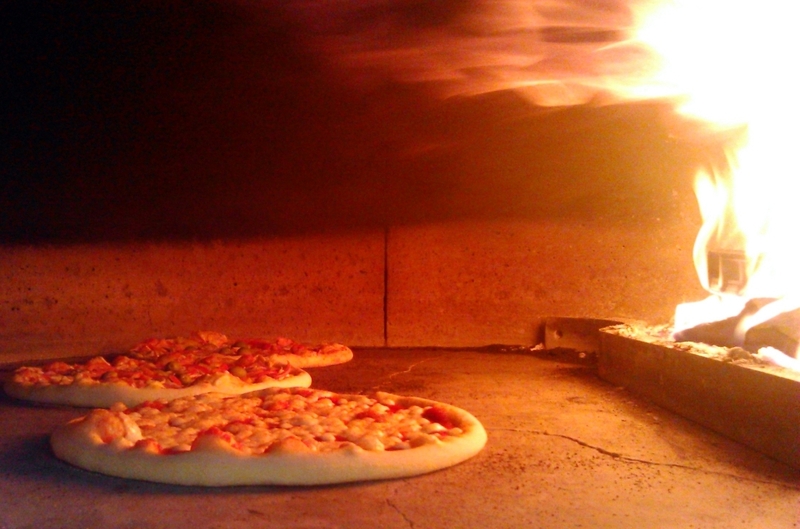 Pizzas that attract attention with their local names satisfy even the most hungry and demanding of customers. Names, such as Bejska, Božca, Mija, Kotarska, Nadiška, etc., usually have no meaning to tourists, while locals know that every name has its story and origin. The price includes staying for one person per night with VAT (9,5%) included. Tourist tax is not included in the price. Payment in cash only.Prices are valid from 1 April 2017. Prices apply to tents, campers and caravans. Follow us on Facebook – https://www.facebook.com/kamplebanc/.